Dr. Brandon Reynolds is a Board Certified Plastic Surgeon, specializing in cosmetic and reconstructive plastic surgery. His wide range of expertise, complimented with his artistic focus, allows him to restore and rebuild what’s been lost and enhance our patients’ sense of self and well-being, while maintaining their natural beauty. As a 3rd generation Las Vegas native, Dr. Brandon Reynolds is proud to be able to work and serve his hometown community. He trained in a prestigious 6-year integrated plastic surgery program at Penn State following completion of medical school at the University of Iowa. 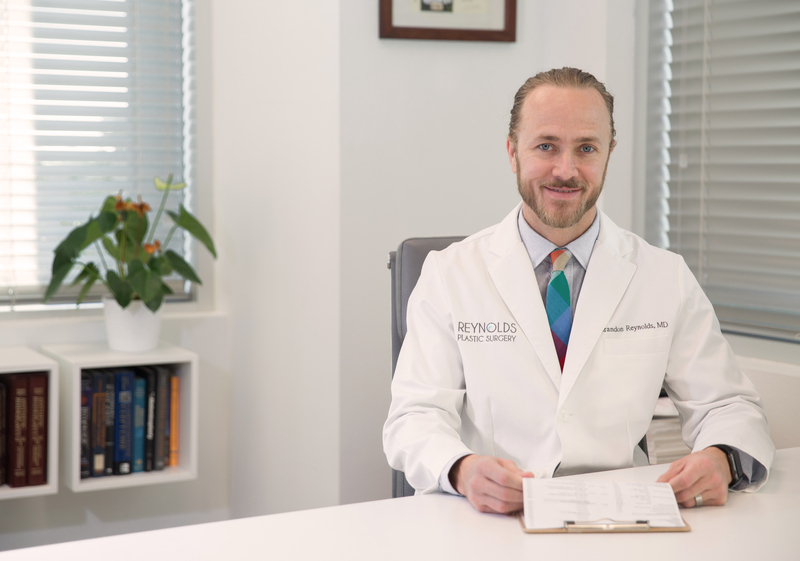 Dr. Brandon Reynolds is known throughout the Las Vegas community for providing exceptional patient care and is honored to have received Vitals awards as a Top 10 Doctor (2014) and Patients Choice (2013) as well as the American Institute of Plastic Surgeons award as a 10 Best Plastic Surgeon in Nevada (2017). Las Vegas plastic surgeon Dr. Reynolds is passionate about giving back to the community that raised him by caring for those who otherwise would not get the proper treatment that they need. His desire to help others has taken him around the world to the Philippines, India and Peru all as part of medical mission trips. He served as a Reagan Fellow for Operation Smile, where he worked with children, reconstructing cleft lips and palates. Outside of practicing as a Board Certified Plastic Surgeon, Dr. Brandon Reynolds and his wife, Annie, are very busy with four girls. Together, they enjoy spending time outdoors, climbing, hiking, in water sports at Lake Mead, and volunteering in the community with their church. The Patients’ Choice Award – 5 Year Honoree is a recognition granted only to those doctors whose ratings have reflected excellence in care for five years in a row. Only 1% of all doctors in the United States are bestowed this honor by their patients.